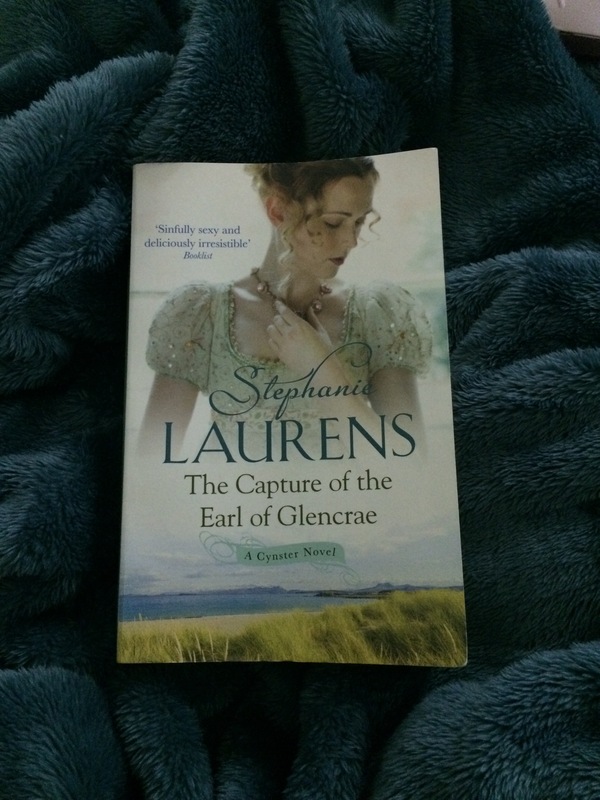 The Capture of the Earl of Glencrae is the eighteenth book featuring the Cynsters. This is the first time I read for Laurens so I cannot compare this book to the others. This book tells the story of Angelica, the youngest daughter of the Celia Cynster. In the middle of a ball, Angelica meets an attractive young man, who has been eyeing her during the ball. Angelica immediately decides that this young man is the man she is going to marry, so she asks an acquaintance of her to introduce her to him. This young man turns to be no other than the Earl of Glenscrae, but who goes with another his titles. They go walking outside, and suddenly he abducts Angelica ! She was able to free herself, but part of her wanted to know more about this young man. After reaching his castle, he tells her that he is the same young man who abducts her older sisters whom managed to free themselves. He explains to her why he abducts her and she agrees to help him fulfil his goal. After a long adventure, both succeeds in achieving the goal of restoring the goblet and eventually get married. The novel is an enchanting historical romance. There is certainly chemistry between Angelica and Dominic. Angelica is a powerful young women and is not depicted as a typical female character: submissive, confused and weak. Rather, she is strong, steadfast resolved to achieve her goal: including getting married to the young man she liked! Although she loved Dominic from the first sight, she is not willing to be easy target. She only expressed her love when she was sure he has mutual feelings for her. She is an embodiment of compelling, independent female. The author successfully draws an outstanding heroine and gripping romance ! The story is not a typical shallow romance, but rather a more thrilling story. The backstory of the relation between families is very interesting, too ! Angelica is not what I expect when I first start reading, she is a modern heroine with a Victorian flavour ! The story’s language is good, but I believe that the story and characters creates the beauty of the book. The experience resembles watching a real drama . Totally recommend.